I feel like I've been posting too many pictures of my dog lately. We just had such a brutal winter this year that I continue to be excited with every sign of spring that I see. The open water in the lake continues to get bigger and bigger, even though we still have way too much ice out there yet. Blue is so happy to be able to get out there and swim for awhile. He was so sick of being stuck inside for the months of January and February. Now that's a happy dog. He also appears to have a Rooster Tail. We've had some interesting looking ducks in the neighborhood this week. They kind of look like hippies to me with their long scraggly hair. I've looked online and believe these are Merganser Ducks. They are known to migrate through Minnesota but they don't usually live here year round. So this week Prior Lake was kind of like an Air-BNB for them. I wonder where they make their reservations? Last year my friend, Tim Hoel, suggested I get a trail cam to take videos of the critters in my Minnesota backyard. This is the first spring we've had it in place and I was pretty pleased with the results. 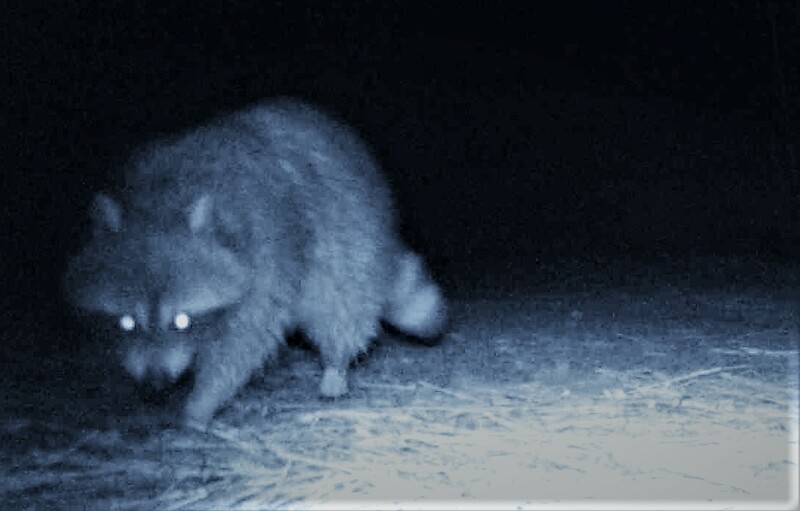 We got our first shot of a raccoon, a curious little mouse, some bunnies frolicking, and a passing shot of some 4 legged beast. On Thursday, I flew down to Omaha to see a customer and was shocked when I dropped out of the clouds to see how bad the flooding devastation was. It literally looked like an ocean in Nebraska. Prayers go out to those affected. Luke surprised us with a visit home on Friday night. Turns out he was having some car problems and wanted his parents to pay for the repairs. At least we're still good for something to these college kids! On Saturday night, our old buddies, Jen & Dan Walters, came over for a hot tub party. We also spent a lot of time hugging each other in a group for some reason. I'm sick of having to fill Blue's water bowl all the time so I've been working on teaching him how to drink out of a straw. It hasn't been going all that great.